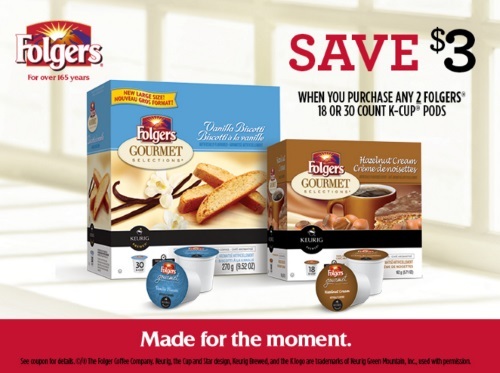 Claim your coupon for $3 off when you purchase two Folgers 18 or 30 count K-Cup packs! This coupon is available via mail or print on Save.ca's Walmart coupon portal at the link below. Offer available while supplies last.